Today at TechCrunch Disrupt SF, Salesforce.com CEO Marc Benioff said that Google chose to use his company’s productivity app Do.com over Asana, which was founded by Facebook co-founder Dustin Moskovitz and ex-Googler Justin Rosenstein. Do.com is based on Manymoon, a project management software-as-a-service that Salesforce.com acquired in February 2011. Manymoon was founded by Amit Kulkarni and Manav Monga. It wasn’t a VC darling like Asana, and its founders weren’t as famous, but the Manymoon application consistently ranked as one of the top installs in the Google Apps Marketplace. Manymoon was re-launched as Do.com in November and recently got a nice big update. Do.com remains on the Google Apps Marketplace Top Installs lederboard, but now trails Mavenlink. The social task space is heating up, with companies like Do.com, Asana, Producteev, Teamly and Teambox vying for traction, and the “new” inbox metaphor for integrating activity streams with task management. 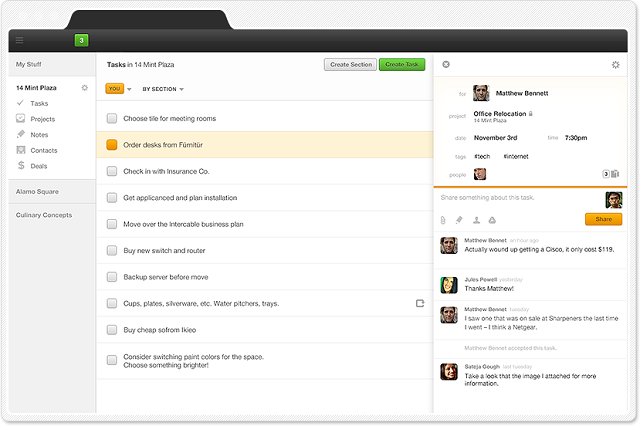 Not to mention Kanban-style task collaboration tools like Trello. Benioff mentioned the customer win after being asked whether he saw Google Apps as a competitor. He says Google has a “prioritization issue” in enterprise. Asked whether he thinks that’s going to change, Benioff said he thought Larry Page and Sergey Brin had other priorities.